Based in Quetzaltenango, Guatemala, Doing Development: Learning from the Ground Up, is an Intensive Course Abroad that focuses on exploring development issues through experiential learning, cultural exchange and service. Students will explore international development, including global and environmental health, women’s rights, economic development, and community tourism, through interactive site visits and service learning projects. Understand key challenges of development, and the intersecting connections between global and environmental health, gender issues, economics, politics, etc. Increase their cultural competency skills, especially when working with diverse, non-English speaking communities. Experience and learn about Guatemalan culture, and understand how the country’s history shapes its current state. Develop experiential education reflection skills, and understand how engagement shapes their own identity and interpretation of the world. Check out an online presentation about this program! Learning will mostly be rooted in Quetzaltenango, which is nestled in a valley mountain surrounded by farmland, indigenous populations, numerous development organizations, and a lively art and music scene. In addition to service learning activities and field trips, students will engage in daily lectures, discussions and qualitative research efforts. Students will be registered for GST T380, Doing Development, 3 credits as part of their winter term course load. Students must leave space for this 3 credit in their winter term credit load or will have to pay for exceeding the 20 credit maximum. The 3 credit for this program is not optional. Although many of the assignments will occur during the program, students will be responsible for completing a research paper upon their return. This course is open to all Drexel students in class or on co-op, and there are no pre-requisites. Students will be directed and overseen by Kate Hughes, M.S., MPH, Associate Director of the Center of Interdisciplinary Programs (AFAS, GST and WMST), as well as Guatemalan instructors at local development practitioners and NGOs. *Students may extend their travel independently before or after the official program dates. 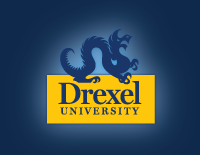 Students assume all risk during independent travel as Drexel University is not responsible outside of program dates. Students will gain an interdisciplinary understanding of Guatemala and development through lectures, site visits, community-based learning projects and cultural activities, which include meeting with a local journalist to discuss the Guatemalan civil war, building safe stoves in the Mayan highlands with a women’s empowerment organization, participating in a traditional Mayan ceremony, assisting with a clean water project, and helping an environmental organization address deforestation. The group will also spend two days at a cooperative coffee finca, learning about land and labor rights, fair trade and sustainability, and will volunteer during harvest season. Afternoon cultural activities include salsa lessons, chocolate making and cooking classes, soaking in natural hot springs, and exploring local markets. Students will also have free time in Antigua, and an opportunity to explore the world heritage site independently. Students will spend the first weekend sleeping lakeside at famed Lago Atitlan. The weekend will be devoted to exploring tourism along the lake, including the environmental, economic and cultural issues spurred by development. Students will meet with different NGOs (artist and weaving cooperatives, etc.) and learn about innovative and sustainable community tourism projects formed in response to development pressures. Students will also have the opportunity to swim and explore the lake by kayak. Donations to NGOs the group is assisting. Students will live together in local hostels in Xela, Antigua and Lago Atitlan, and have special accommodations at the coffee finca. Meals of traditional Guatemalan food will be provided during both weeks. No visa is required for US citizens. Other nationalities should check on the Guatemalan Embassy website for details. EntreMundos “is a registered Guatemalan non-profit association that promotes positive social change by supporting and strengthening communities and non-governmental organizations in Guatemala. This is achieved through capacity building workshops and training; the publication of a free bimonthly, bilingual magazine (in Spanish and English) about development and human rights issues in Guatemala; and operating a volunteer placement program, connecting volunteers, both international and local, with community projects and NGOs. As an NGO committed to the projects with which we work, the proceeds from your participation go directly back to serving the organizations and communities of Guatemala. NOTE: First Year Students are eligible to apply for this program. This program departs during finals week. Students should contact their fall term professors immediately upon acceptance to the program, in order to request early final exam arrangements.